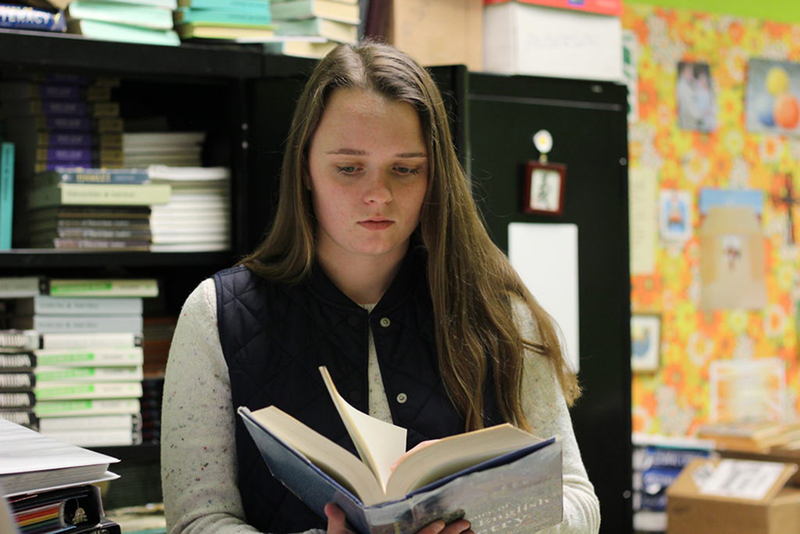 Junior Ashley Thacker, reading a book on poetry, is currently still an active member of the PACE program which is sponsored by Beth Andersen. Through the years there has been a significant drop in student involvement in Gifted Programs across the state. This data visualization shows the drop in student participation grades kindergarten through 12th grade. The sponsor for the high school’s gifted program, Beth Andersen, explained the factors that go into determining the qualifications for the gifted program and reasons why some students decide to drop out. Junior Ashley Thacker joined PACE in 3rd grade after being recommended by her teacher. Thacker is still a member of the gifted program, participating in any events she is eligible to be involved in.